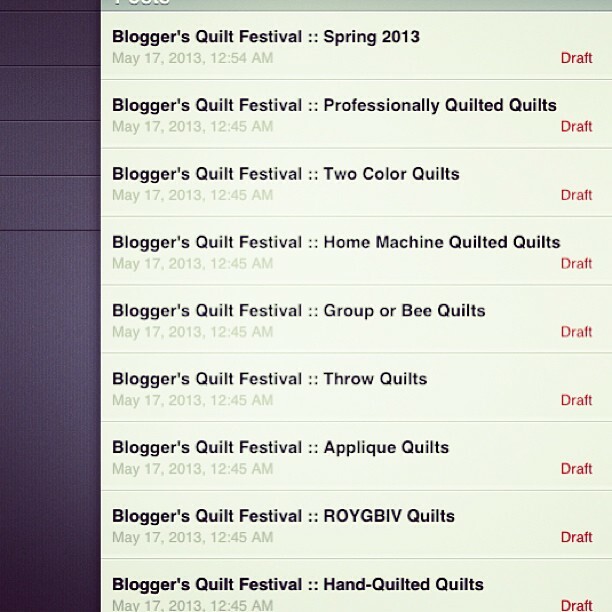 Blogger’s Quilt Festival :: Countdown! Hi friends! Are you ready for it? Just a few more days, and all the fun begins! I’m working on my posts, to have multiple linky’s ready, it’s a chore now, but I think it will be easier later once you start linking up. Remember, there is a main post, that will remain at the top of my blog for the duration of the Festival, but to see the quilts, and link up you will need to click the link to visit each category. Each quilter can enter two quilts, in separate posts, and categories. Ella turned 13 yesterday! We had a fun and full day (not to mention weekend!) with family and friends. I can’t believe how time flies! It seems like we were just learning the ropes of parenthood the other day, and here she is making her own way in the world. She is responsible, funny, smart, kind, and loving. I am extremely proud of her, and look forward to the next year of memories to be made together. I am blessed to be her mom. Exciting! Can’t wait to see everyone’s submissions! I have a question. Since we are going to be able to enter 2 quilts, do we need to have a separate blog post for each quilt or can we put both quilts in the same blog post? Hi Erica – Each quilter can enter two quilts, in separate posts, and categories. 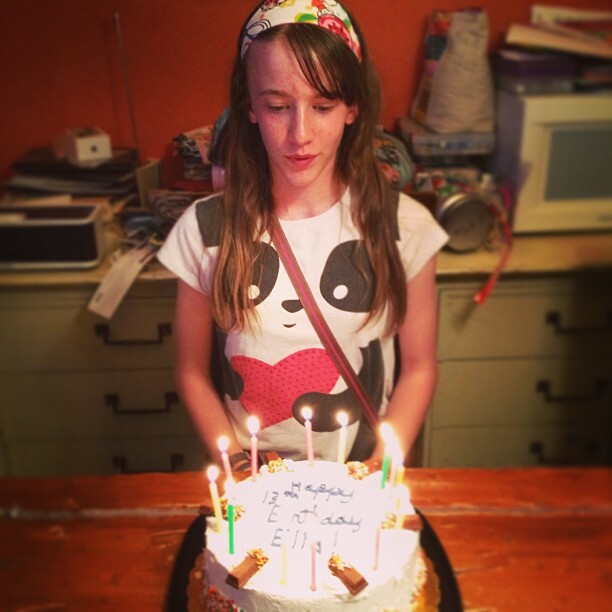 Happy Birthday to Ella! You are a beautiful young lady with a smile to ignite the world in delight! Hi Amy. I understand we are not allowed to offer giveaways, I was wondering if we are allowed to have a link up as to where people can purchase the pattern for our quilts? I wanted to double check as I don’t want to cross any boundaries. Thank you for hosting and happy birthday to Ella. Thanks so much for hosting again! I’m excited for the new setup, it’ll be easier for nominations, so thank you for your hard work. I am wondering – if we have one quilt that might work well in two categories can we submit it in both, or do we just need to choose one category for it? Thanks! Hi Amy, thanks for organizing this. I seem to be doing everything right, but still cannot register – it says I have not added your link. Can you help?